Above: Pennzoil Airlift Drift 360˚video demo - use current Chrome, Firefox or Internet Explorer browsers to view the video interactively. The full immersive experience is only available with the Samsung Galaxy S6 /S7 and the Gear VR Headset. In the early part of this year, Pennzoil closed downtown Cape Town to film 'Air Drift Lift’. The series of TV commercials has been a massive hit with audiences in the US, so Shell and Pennzoil asked Shadow Industries to re-imagine the spot for VR. 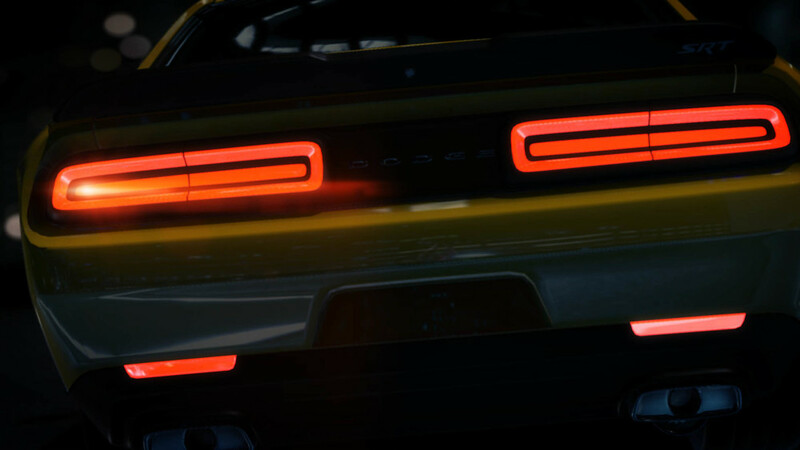 Working on the Samsung S6 Gear headset, Shadow created a 3 minute experience that places the viewer at the centre of the action when a 700hp Dodge Hellcat Challenger takes to the air. The aim was to capture the raw emotional energy of the campaign, and allow the user to experience that in the first person, while using the extended duration of the VR spot to communicate some of Pennzoil’s core messages. Packing such a full-throttle experience onto a realtime-render game-engine and deploying on a phone-based VR system posed major challenges, and the team at Shadow worked for 3 months in Unity, carefully optimising every aspect of the design, modelling, lighting, animation and code to achieve a experience that used every bit of the phones processing power. As part of the work, they created a new puppeteering system to allow the capture of realtime physics data from a performer driving the car on a desktop system, and then bake this physics data into animations curves that could be run without the overhead of simulation on the phones much smaller CPU. The Samsung Gear headset version also features full-bore spacial sound design by Charles Deenen and Tim Gedemer at Source Sound. The Pennzoil VR experience is being rolled out at multiple NASCAR and other motorsport events across the US from Spring 2016.